Yesterday was the seventh day of my fast from soda pop. I gave up soda pop for one week. There really wasn’t a reason. I just decided to exercise my self-control. The only person I told was my husband. So, last Sunday was the last time I drank a coke. It was a delightful treat; a perfect fountain mix and just the right amount of ice topped with a lid and a straw. I didn’t decaffeinate. Tea was my morning beverage. Besides, the caffeine from tea is actually better for you than that of soda. It is said that the body processes it at a more even rate so there are fewer highs and lows; less jitters. But I digress. The day I missed my soda treat the most was Friday; five days in. It was a warm and sunny day. I was out and about taking care of some business and looking forward to the weekend. 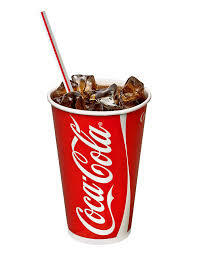 Like those who enjoy a cool brew after a work week, I missed my fountain soda; my favorite of which is Coca-Cola – no diet, full of sweetness and calories. The other difficult moment was after the baseball tournament we took the boys to have pizza for dinner. There is something very wrong about having pizza with iced tea. It just isn’t right. But that’s what I drank. No earth shattering lessons were garnered by this exercise. I learned that if I put my mind to something, I can do it with little accountability. Before this week I may not have claimed that strength. I’m not sure I felt any better physically, or lost any weight, but I wasn’t tired at odd times. I did miss the sugar. In the late afternoons admittedly I foraged through the leftover Easter candy. Not to worry, I confessed to my son. He was glad to share. As of this posting time, I still haven’t had a soda. Not sure when I will partake. Even as I write this and think of the bubbles and ice dancing in a cup, the straw plunging in and the first draw, AAAAHHHH, I know it’s going to be good! of clever work and coverage! Keep up the terrkfic works guys I’ve added you guys to blogroll.